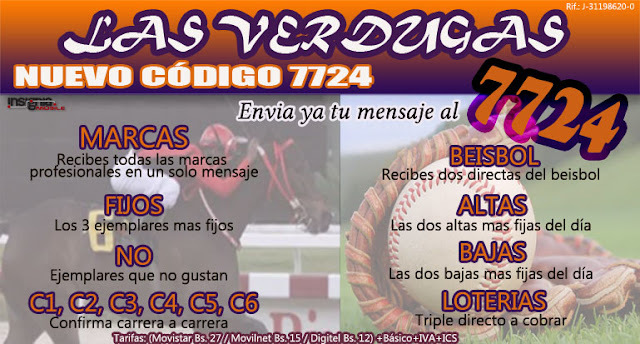 SALA DE CHAT HIPISMO, LOTERIA, PARLEY Y MAS. PROMOCION (SOLIDARIA) HASTA MAÑANA SEMANA ENTRANTE AUMENTA!! MIERCOLES 24-04-19, REGALITOS FIJOS AQUI; HOY AY VIDA CLICK! ¡ULTRA RESUMEN HÍPICO IMPELABLE! "PARTIDA Y PONTE LAS PILAS"